As my mom’s birthday is coming up in two days, my Throw Back Thursday is dedicated to her. She’s a huge fan of how she looked on my wedding day (and she should be, she looked wonderful! ), so I’ll use some photos of that day. One of her passions is black and white movies, where the distraction of color does not exist and just the details and emotions shine through. I converted this photo of us in our hotel room waiting to leave for pictures and the ceremony. 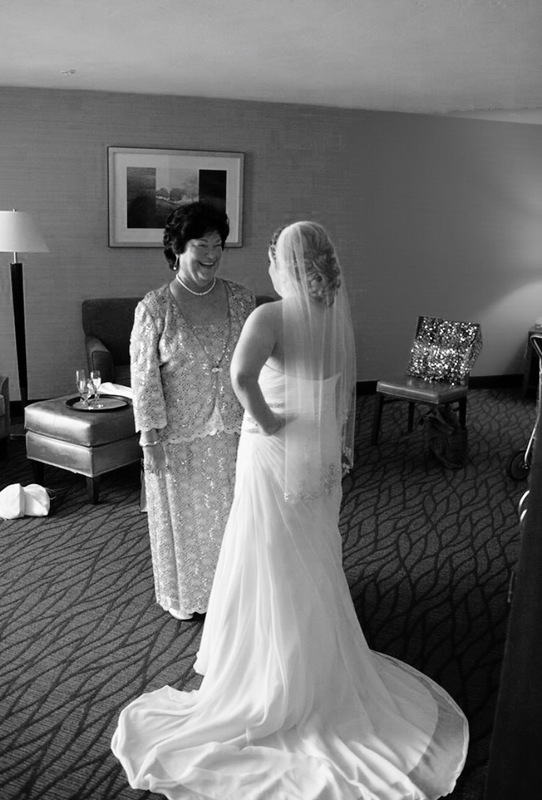 She had once told me that she went to a wedding where both parents walked the bride down the aisle and how beautiful of an idea that was. 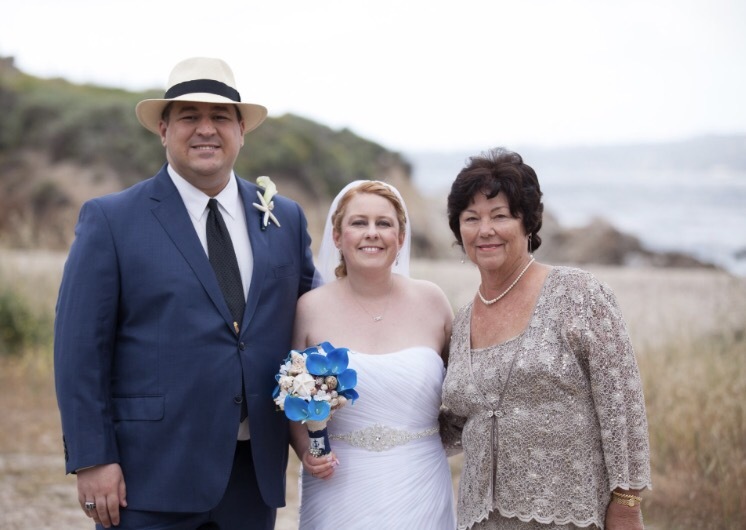 As my dad had passed away years ago I could not do that, however, my mom and my Aunt Carol, my dad’s sister walked me down the aisle with huge smiles. 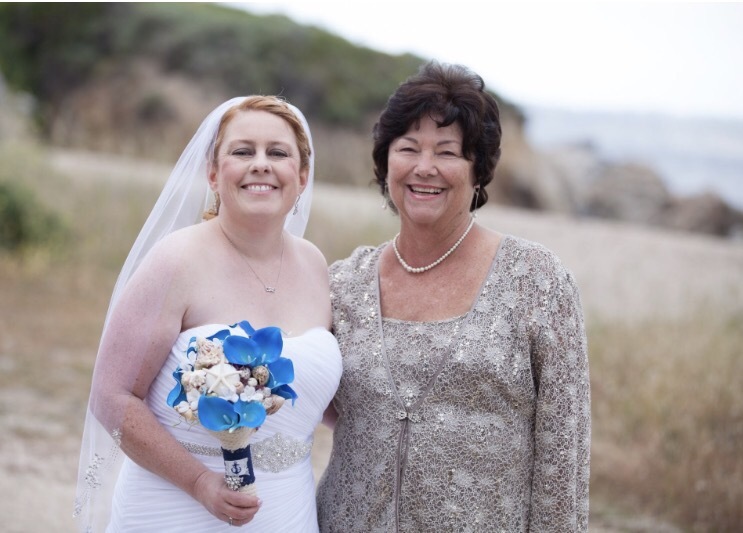 The bouquets they carried were a tribute to my mom who had wanted a white rose bouquet for her wedding to my dad. Her florist had convinced her that white roses were too expensive and unpredictable to use for a June wedding in New York. So as a special surprise I had her (along with my aunt and Matt’s mom) carry white rose bouquets. 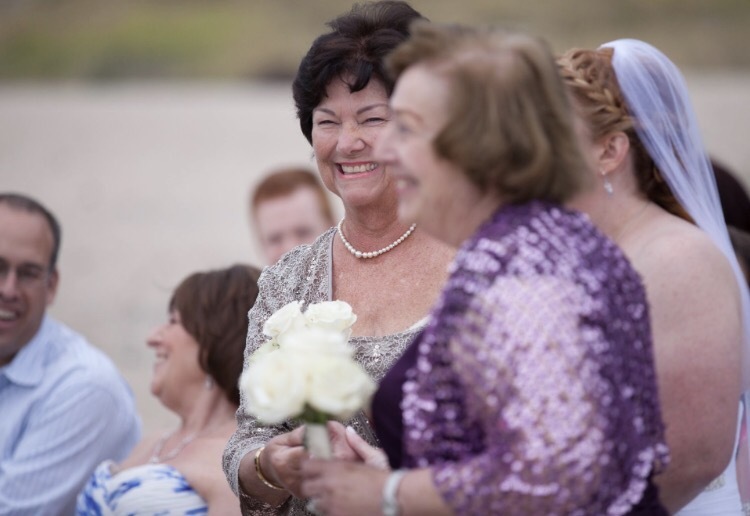 One thing I definitely get from my mom is her love of pearls like this beautiful necklace she wore on our special day. It was so great to have her make the special trip out from Florida to celebrate with us. I’ll next see my mom in September for my baby shower, only four and a half weeks away.